Transnational gang MS-13, or Mara Salvatrucha, has gained notoriety in the United States for its penchant for brutal slayings. In a recent Maryland case, MS-13 gang members were charged with stabbing a victim more than 100 times, decapitating and dismembering him, and ripping his heart out before throwing him into a grave in Wheaton Regional Park, according to court documents. Long Island, New York, has had its share of grisly murders, including two teenage girls who were slain with machetes and a baseball bat in September 2016. 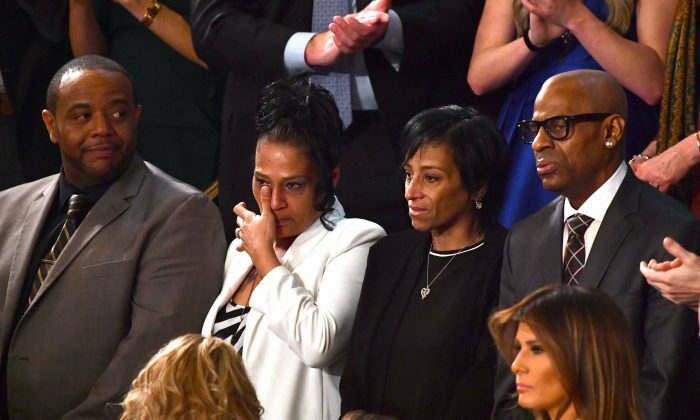 The girls’ parents attended President Donald Trump’s State of the Union address on Jan. 30. In Columbus, Ohio, last week 23 alleged MS-13 members were charged in a racketeering conspiracy, which includes five murders as well as attempted murder, extortion, money laundering, drug trafficking, and assault. The gang is also under the microscope by the U.S. government. The Trump administration hasn’t minced words about its desire to dismantle and eradicate MS-13. In El Salvador, the gang is training, increasing its capacity and professionalizing. “We’ve really never seen anything quite like this—the level of ferocity, the level of violence, and the reforms we need from Congress to defeat it,” Trump said at a Feb. 6 roundtable on MS-13. The Department of Justice (DOJ) estimates that 10,000 MS-13 members live in the United States. 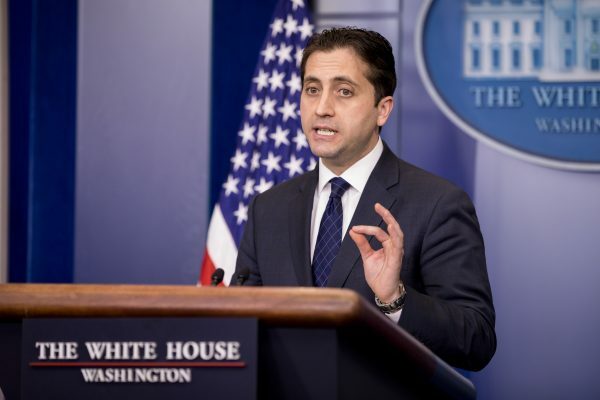 Cronan said an estimated 2,000 MS-13 members live in Los Angeles; between 800 and 1,200 in Dallas and Houston; 2,000 in Long Island; 800 and 1,000 in Boston; and 3,000 members in the D.C. metropolitan area. MS-13 was formed in Los Angeles in the 1980s by Salvadorans fleeing from civil war and banding together for protection from the Mexican gangs. A large deportation effort from the United States led the gang to take hold in El Salvador and it has proliferated since. In the United States, MS-13 gained traction during the Obama administration when immigration enforcement and border security were lax. MS-13 mostly recruits immigrants from Central America—both legal and illegal. However, the bulk of the gang members are in the United States illegally. A major operation by Immigration and Customs Enforcement (ICE) in November last year netted 214 arrests of alleged MS-13 members in the United States. Of the 214 members, 193 were in the country illegally. Sixty-four of them came in as unaccompanied minors. Loopholes in the immigration system allow for gang members to enter the United States. Being a member of a gang is not grounds for inadmissibility under current immigration law, but there is a bill in Congress that would close that loophole. Minors have an easier time entering the country due to the unaccompanied minor program and the human trafficking laws. An unaccompanied minor from Mexico can be immediately returned to Mexico if they are determined not a trafficking victim. However, minors from Central America cannot be turned back into Mexico, so the United States accepts them by default, creating a huge recruitment pipeline for the gang. Unaccompanied minors have crossed the southwest border at a rate of 3,000 to 4,000 per month so far this fiscal year. On average, another 6,500 family units have entered per month, which includes one adult and at least one minor child. More than 40,000 unaccompanied minors entered the United States illegally and were resettled in the country in fiscal year 2017. About half of them were young males from Central America aged between 13 and 17—prime MS-13 recruitment targets. “There’s been intelligence of the Suffolk County Police showing that often you have MS-13 in El Salvador actually either pressuring families on Long Island to take these kids, or these families are MS-13 families to begin with,” said Rep. Peter King (R-N.Y.) on Feb. 6. The gang uses schools as recruitment centers and will often target young people who don’t have much family support or who are also in the country illegally. MS-13 members can make joining the gang sound appealing socially and give new recruits a sense of belonging. MS-13 is a social organization first, and a criminal organization second, according to a new report by InSightCrime. MS13’s use of violence is motivated by two major external factors, according to InSight Crime. “To begin with, the MS-13 has a need to establish physical boundaries. This is, in part, so the gang can secure ‘renta,’ or ‘rent,’ the MS-13’s euphemism for extortion and other revenue. Without territory, there is no rent,” the report says. In October 2013, MS-13 members murdered someone they believed to be a snitch in a park in Falls Church, Virginia, according to Cronan. They stabbed him with knives, slashed him with a machete, and buried the body in a shallow grave. He said a few months later, in the same park, MS-13 members murdered a recruit who had violated gang rules. They severed his head and buried his body. Members kill people who they think are snitches or who violate the rules, and they target suspected rival gang members. MS-13 operates in cliques, which are smaller groups of members and associates that act under the larger mantle of the organization and operate in a specific region, city, or part of a city, according to the DOJ. Cliques raise money through criminal activity such as extortion and narcotics trafficking, in addition to paying regular dues at clique meetings, according to the DOJ. A portion of the money is wired to leadership in El Salvador. Gang leaders use this money to purchase weapons and cell phones and to provide clothing, legal assistance, and other forms of aid to MS-13 members who are incarcerated and to support the families of MS-13 members who have been killed, the DOJ said. Cliques are also grouped into larger “programs,” such as the East Coast Program, which includes New York, the D.C. metro area, and Ohio. Members often have close contact with the leadership in El Salvador. When a 15-year-old girl from D.C. was stabbed 13 times with knives and a wooden stake in January last year, her killers filmed the murder so they could show their leaders back in El Salvador, Cronan said. The strength of the gang varies regionally, and in the Los Angeles area, it appears more disciplined. 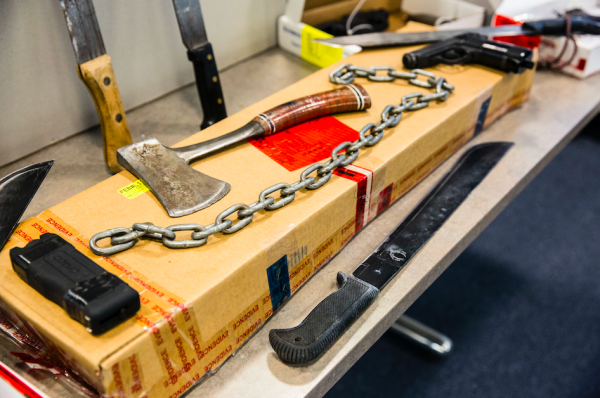 Law enforcement experts say this is due to the influence of the Mexican Mafia, which is more successful at building and maintaining social capital and keeping authorities from interrupting business because of violence, according to InSight Crime. “In El Salvador, the gang is training, increasing its capacity and professionalizing,” the report said. Early in his presidency, Trump instructed the DOJ and the Department of Homeland Security to prioritize MS-13 members for conviction and deportation. In 2017, the DOJ secured convictions against more than 1,200 gang members, many of them MS-13 members, Cronan said. Attorney General Jeff Sessions also visited his counterpart in El Salvador last summer to discuss joint efforts to dismantle MS-13. Soon after that meeting, 700 gang members were charged in El Salvador. In total, the DOJ’s work with its Central American partners resulted in arrests and charges against more than 4,000 suspected MS-13 members. Suffolk County on Long Island, New York, announced earlier this month the formation of a gang unit within the district attorney’s office, which is dedicated to building cases and prosecuting gang members, especially MS-13. An anonymous tipline was set up and a reward of up to $5,000 offered for information that leads to an arrest of a gang member. 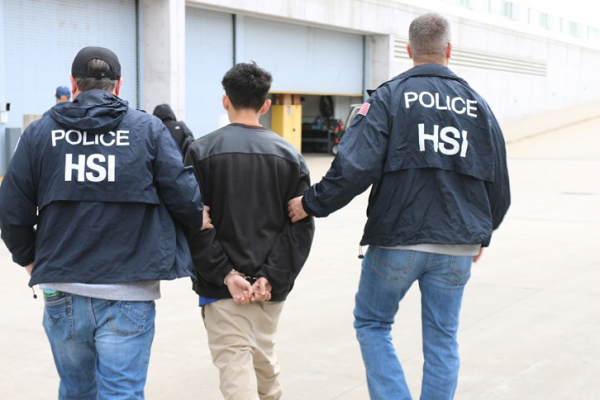 ICE’s Homeland Security Investigations (HSI) has made more than 4,300 criminal arrests and nearly 3,000 civil immigration arrests of MS-13 leaders, members, and associates under its Operation Community Shield initiative. In fiscal year 2017, HSI arrested 796 MS-13 gang members and associates, an 83 percent increase from fiscal 2016.